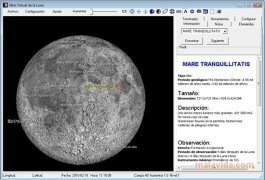 The Moon is the heavenly body nearest Earth, being a lone satellite, and it has always fascinated mankind. Since it affects our planet, the Moon has been the object of many studies, as well as having been used in countless stories, that is why lots of people will really value the possibility of seeing the Moon from close up with Virtual Moon Atlas, just like they would view Earth with Google Earth. 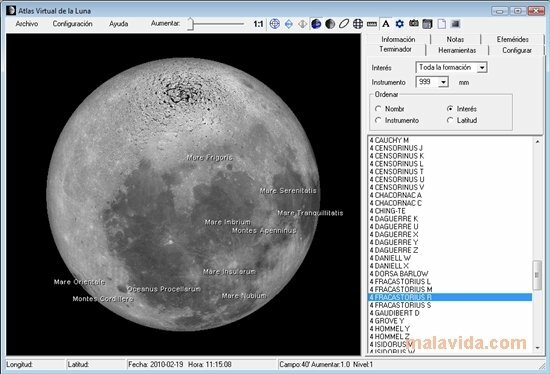 Those that enjoy selenography can travel around the Moon, viewing it from space, including a thorough cartography and being able to zoom in to be able to see the smallest craters. 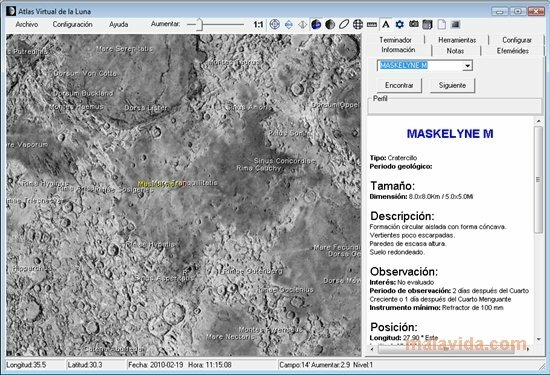 The interface of Virtual Moon Atlas is very simple, we'll see the Moon in all its magnificence (with dynamic shadows,... ) and in the sidebar we will have several viewing options, from interesting locations (with different degrees of interest) to exact coordinates, it's even possible to see the Moon as it would be seen from Earth on a specific data and time. 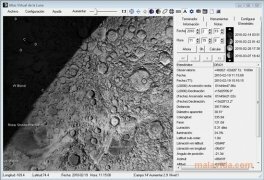 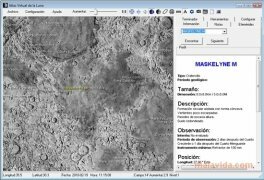 Its extensive database about anything that exists on the surface of the Moon and the well-cared cartography, make Virtual Moon Atlas one of the most interesting and complete applications about the Moon.